Cllr. Janice Boylan, representing an tArdmhéara, Críona Ní Dhálaigh, and Dublin City Public Libraries are delighted to announce the launch of “Dublin: A Great Place to Start” Parnell Square Cultural Quarter digital storytelling project on Thursday, October 22nd in the Dublin City Gallery, The Hugh Lane, Dublin 1. 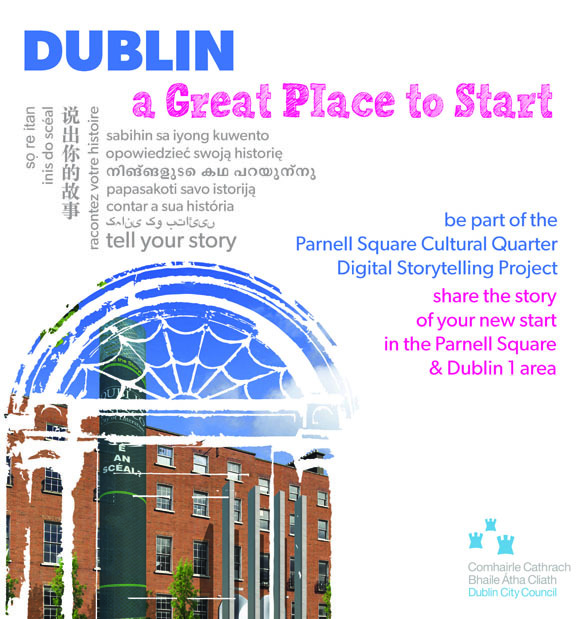 This digital storytelling project celebrates some of the new beginnings that happen every day in Dublin 1 where plans are being developed for the City Library @ The Parnell Square Cultural Quarter. This project brings together stories of new starts in the city, celebrating the diversity and excitement of Dublin. Participants from Ireland, Brazil, Somalia, Italy, Moldova and South Africa, working with our storytelling team, have created a unique collection of 11 short films. The stories capture a fascinating range of first- time experiences in the City – stories of new life, new neighbours and new opportunities. Stories move from Nelson’s Pillar, to Moore Street, the Ha’penny Bridge in the rain, the dancehalls of Parnell Square, to Summerhill and North Great George’s Street, with tales from the past and the present. Gheorghe tells of bringing water colours to Ireland from his native Moldova and capturing the beauty of the city in paint, even on a rainy day! Kay tells of her mother’s experiences moving to Dublin in the 1940s, bringing to life for us a city of dancehalls and theatre. Abdi Shakuur reminds us of the importance of sport in creating community spirit and lasting friendships and Jane gives us an insight into inner city life on North Great George’s Street. All of the films may be viewed via our Media Gallery. 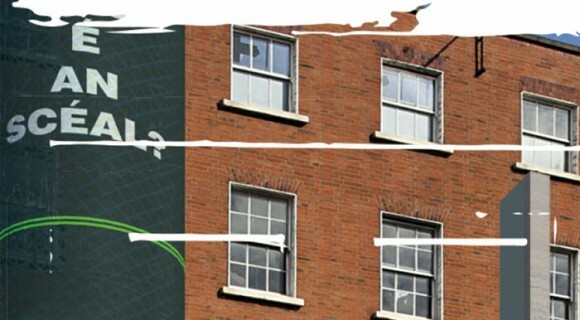 City Librarian, Margaret Hayes, said “This project was conceived to contribute to Dublin’s plans for a new City Library at The Parnell Square Cultural Quarter, a landmark destination at the northern point of Dublin’s ‘Civic Spine’. We’re very excited that the long-held ambition for a City Library will be realised here at Parnell Square, projected to open in 2020“. We especially thank all participants for sharing their personal stories.They will receive copies of their films on the night and have an opportunity to meet each other and share their perspectives on the Dublin they know.